With the combination of the winter months and all 3 kiddos going to daycare for the first time a couple days a week, there has been no shortage of sickness in our house for the past few months. It seems every week someone has a runny nose or a cough...and Bronchitis has been especially present too. There's not much on the market I have found that works well for the kids coughs. 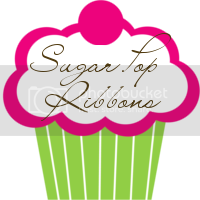 There are a few over the counter things I have tried, but haven't seen much for results. I discovered Children's Chestal recently, and decided I may be interested in giving it a try. It was something new I hadn't seen or heard of before, so I figured it was definitely worth a shot! I received a bottle of Children's Chestal cough syrup and Camilia teething medicine to review. Both of these products are all natural, which was the first thing that drew me to them. I don't like using antibiotics or strong medications, even over the counter pain relievers such as Tylenol, if I absolutely don't have to. If I can avoid it, or use a more natural alternative, I will choose that first. Mason has been the most sick in our house, and since the Chestal sough syrup is for ages 2 and older, I wasn't able to use it until just recently, when Connor started showing signs of Bronchitis or the common cold. Last night when we put him to bed, he was unable to comfortably fall asleep quickly because he couldn't stop coughing. It was the perfect time to give this medicine a trial run! The honey taste in this medicine is very appealing to kids, so there is no hesitation in them taking it. Within 10 minutes of Connor taking this, he was out asleep with no coughing. He did wake up later in the night, probably from coughing again since it had been a few hours since he first took the medicine, but a few hours of solid sleep from a sick child is amazing! Not only is this cough syrup all natural and safe, but it's non drowsy so they can use it any time of day, it's dye free, has no drug interactions, and works naturally with children's little bodies. All of these qualities are what I look for in medications for my children, and it's very rare I ever find anything like this. 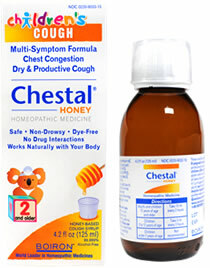 "Children’s Chestal® is one of the safest brands of cough medicine. It works naturally to relieve your child’s cough. Children’s Chestal works naturally with the body to improve the productivity of all types of common coughs. First, the natural goodness of honey in Chestal coats and soothes your throat. Then, the blend of safe homeopathic medicines gets to work loosening chest congestion, helping to make coughs more productive for a speedier recovery. Children’s Chestal is your day and night solution—calming those dry, fitful coughs at bedtime so they don’t prevent sleep, but without drowsy side effects for the day." 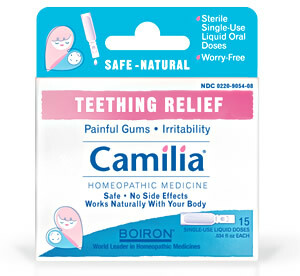 We received the Camilia teething medicine just in time, as Mason was teething very, very hard. He still is, but not as bad as he was. I used it right away! I gave him a dose before bed after several nights of little to no sleep due to his teething discomfort. This medicine is very easy to administer. There are no bottles to accidentely tip over or make a mess with, and nothing to pour into a medicine dropper or have to clean up afterwards. Camilia comes in single use liquid doses that you simply twist the top off of, and pour into baby's mouth. We actually got a fairly good night's rest the first night we tried this teething medicine for Mason. He didn't sleep all night, but he did sleep some, which was better than the nights prior, when he literally was awake all night. Rheum officinale 5C HPUS – Relieves minor digestive disorders associated with teething"
I feel good using this product for my baby's sensitive body, instead of something full of nasty and dangerous chemicals. Purchase It: You can purchase both of these products by visiting their respective websites, and finding a retailer near you. WIN IT: ONE lucky reader of Mama 2 Multiples is going to win a bottle of Chestal Cough Syrup! Follow the instructions below and enter using the Rafflecopter widget. Be sure to read ALL instructions CAREFULLY before entering!